Regular temperature monitoring can enable early intervention and is one of the most effective ways to ensure newborns are healthy. BEMPU is an innovative bracelet, which detects and alerts in the event of hypothermia, facilitating improved thermal care of newborns. 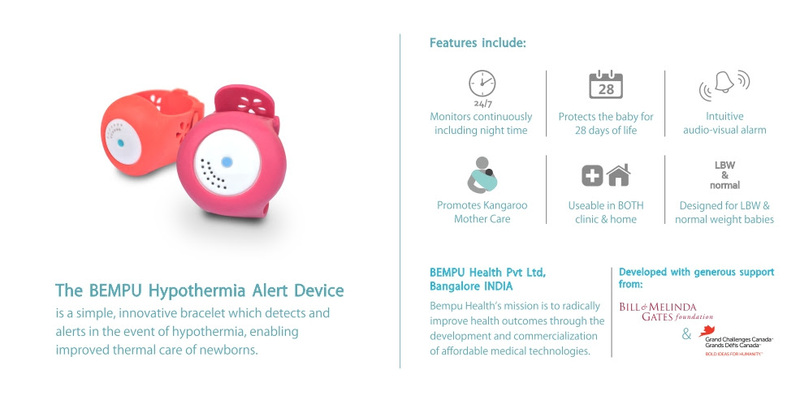 If an infant wearing the BEMPU bracelet is hypothermic, the device alerts the caregiver with an audiovisual alarm to ensure action is taken well before moderate or severe hypothermia can cause injury. The device is simple to use, safe, fits low-to-normal weight infants, and promotes kangaroo care - a method of caring for premature babies in which the infants are held skin-to-skin with a parent, usually the mother, for as many hours as possible every day. Hypothermia and infection are among the top causes of newborn deaths and illnesses. Regular temperature monitoring has the ability to prevent hypothermia and prevent up to 42% of neonatal death. Regular temperature monitoring is the standard of care in developed countries. 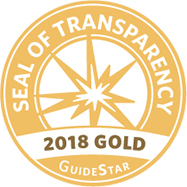 However, as part of BEMPU’s research in 100+ clinics in low-resource areas, the BEMPU team saw nurses and parents do not monitor newborns temperatures adequately. To fix this, they developed an intuitive temperature monitoring device to be used in the hospital and home during the entire neonatal period.